Happy birthday, kids, I love you guys! It brings me so much joy to see you so happy with your families. Rory finished her CH title! I just got the very exciting news that Rory finished her CH title with three majors at Rose City in Portland, a very competitive show! I’m so thrilled that she was such a hit, and grateful to Leanne, who finished her owner-handled. Rory and Leanne picked up their first major and BOS at the Olympic Kennel Club. Chaser and Judy went to the Santa Cruz show where they pick up two points and BOW. Happy birthday to the Gaelic litter! These kids were born June 3, 2016 and time has flown by — now they’re one year old! Ava started agility training this year, and she loves it. The agility ring is her giant playground and she’s fearless. She also competed in her first Barn Hunt trial earlier this year and attended ClickerExpo 2017 in Portland, OR. She has a knack for finding socks and has been known to leave them scattered about the house. One of her favorite games is to grab a hoof (or piece of broccoli) and toss it in the air before rolling vigorously on it. She also loves to play tag with me, where we chase each other back and forth as we both “growl” fiercely. 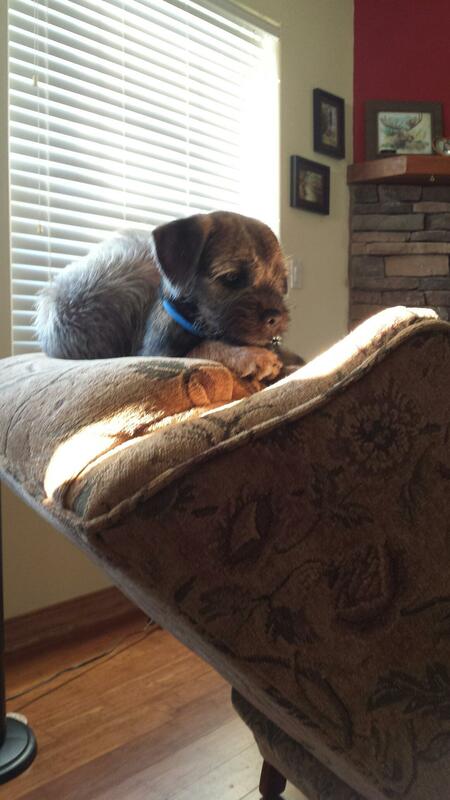 Rory has also been training in agility and competed in a couple AKC conformation shows this year. So far she’s earned one point and was BOS at the PDFC show in March. 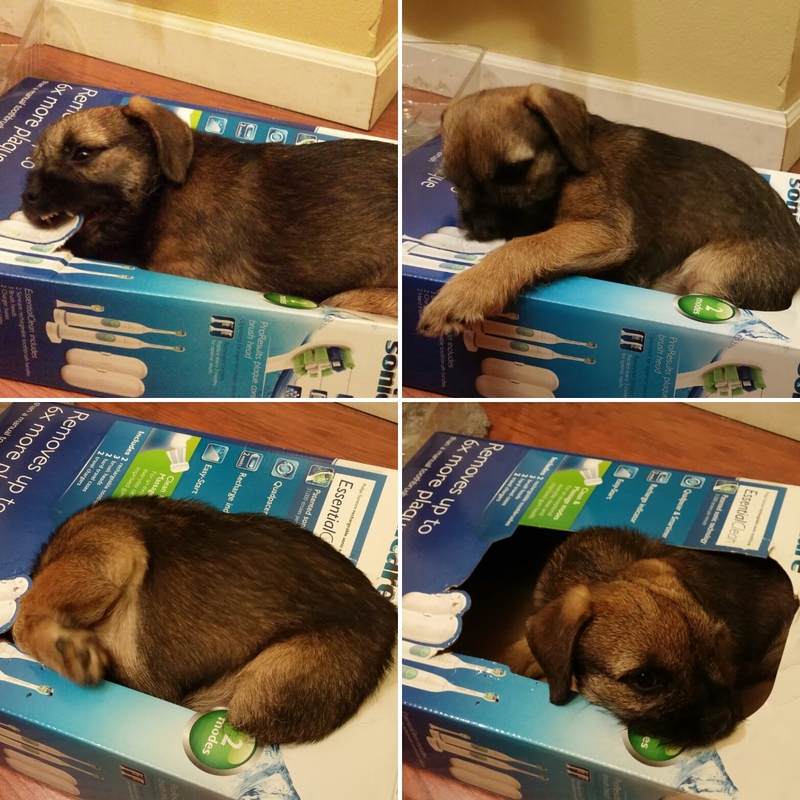 Her most beloved toy is an empty milk jug and she puts herself to bed by 10pm. Her big brother is a Belgian Tervuren and one of her favorite games is attempting to steal his toys; she also pretends that the floor is lava by leaping from couch to Tervuren to ottoman. Chaser has been training in obedience and Nosework, as well as learning how to skateboard. He’s also attending conformation handling classes and entered a couple of shows with handler Danielle Green. He loves to steal breakfast bagels and play keep away with them, as well as “killing” his dog bed and “making it rain” by shredding dollar bills. Tig is a neighborhood favorite and has a special connection with children and the elderly. He ferociously guards the backyard from squirrels and has been known to pull vents out of the floor to attempt tunneling through the ducting. The bitter Idaho winter was no problem for this adventurer and by 8pm you can find him in bed, dreaming of what tomorrow brings. Rory (in WA) and Chaser (in CA) have both debuted in the puppy classes and done a pretty good job for wiggly little puppies! I don’t believe either has picked up points yet but they’re learning the ropes and looking good doing it. Ava will hopefully be showing this summer. She’s a late bloomer physically and uncomfortable with strangers examining her, so we’re in no hurry. Since Rory is local we met up with her and her owner at the Seattle Kennel Club a couple weeks ago, and they did an awesome job! Rory is maturing beautifully and is a total sweetheart. Leanne has done a wonderful job with her. ​We’ve been so busy that I never got around to posting the final goodbyes, but don’t let that fool you into thinking they were easy goodbyes! Each farewell is bittersweet but they’re mostly sweet because the pups went home with such wonderful families. 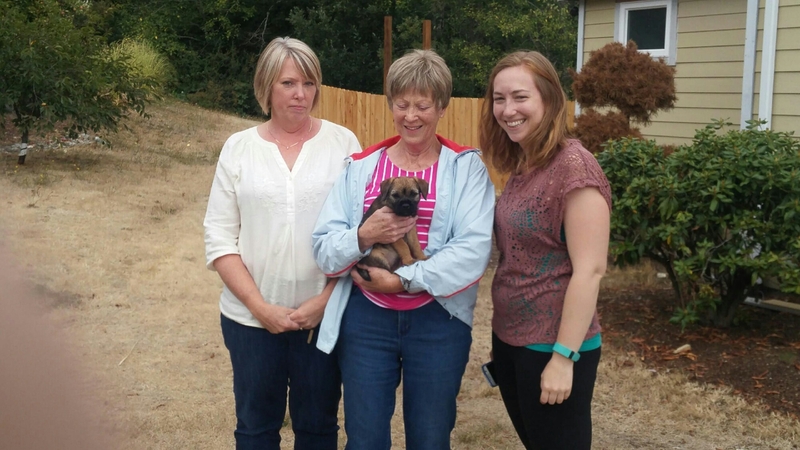 Purple girl, now named Rory, went home with three generations of dedicated dog women right here in Washington. She’s going to get more attention and training then she could imagine! They’re a perfect fit for her rambunctious and adventurous attitude, not to mention that she gets to see a mini donkey in her own backyard. Green boy has moved down too sunny California and got to meet his sire, Scout, along the way (pictured). His owner is still working on the perfect name but he’s having a great time making new friends and rooting through the toy box. He’s probably had his first obedience class by now! Our own red girl, Ava, is loving life as the only puppy in the house. She keeps us entertained as she tries to crawl into sneakers and pounces on dirt piles. 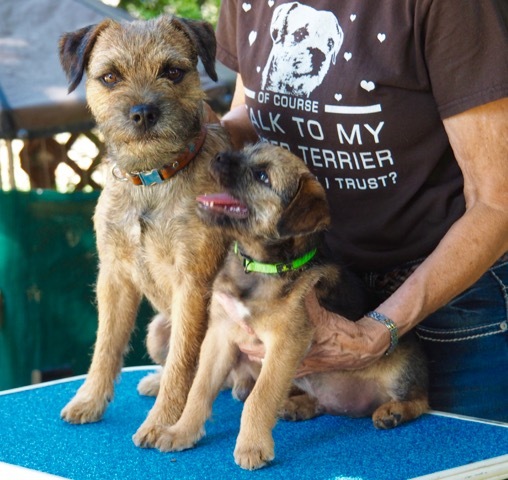 Wally and Fiona enjoy playing with her and Ava begins puppy classes this Sun in Seattle. Tig is loving life in Idaho and has taken to sitting in dad’s shoulder while relaxing in the evening. We’re excited to watch these kids grow up!